In watching "The Revenant," the jaw-dropping scene of a horse going over a cliff brought back recollections of the dismal state of animals in Hollywood just over 75 years ago. In 1939, the movie "Jesse James" featured gut-wrenching scenes of horses being driven off cliffs to their deaths just for the sake of making a movie. Animals in entertainment were not assured protections and humane treatment until the creation of American Humane Association’s iconic No Animals Were Harmed entertainment end-credit certification program in 1940. Having achieved a milestone of 75 years of working alongside the industry as the voice for the animals, Americans have come to expect protections for working animals. Having received thousands of calls from animal lovers over the recent years asking about the safety of animals in movies, and recently calls about the safety of animals in "The Revenant," we can attest to the fact that the movie-going public is genuine in their affection for animals. And, animal lovers around the world seek out the No Animals Were Harmed end credit before they buy a ticket for an animal action movie. 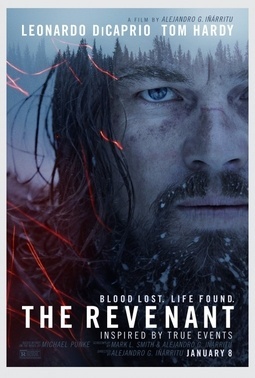 While the American Humane Association was not invited to be on the production of "The Revenant" to verify the safety of the animals, we were informed that the animal action, including the horse scene, was CGI (computer-generated imagery) – a significant advancement in film production for such fierce animal action. That’s somewhat of a relief for those of us tasked with ensuring the protection of animal stars, especially given the extreme action portrayed in the Leonardo DiCaprio film. However, the importance of such efforts as the No Animals Were Harmed end-credit certification is that independent, third-party animal welfare experts provide the general public with assurances that are verifiable. It’s just not enough in today’s times for any corporate institution to say to the public “trust us” when it comes to animals. We’ve come a long way in filmed entertainment production over 75 years. All of us need to work together to further ensure that our beloved animal stars are kept safe and that they are protected in the ever-expanding arenas of production, including the rapidly expanding numbers of overseas shoots, smaller video productions and reality shows where animals still do not enjoy sufficient safeguards. Thanks to the public’s clear and demonstrable desire, we will – and must – continue to make progress in ensuring that in the creation of movies, television programs, and commercials No Animals Were Harmed. Dr. Robin Ganzert is President and CEO of American Humane Association, the country's first national humane organization.